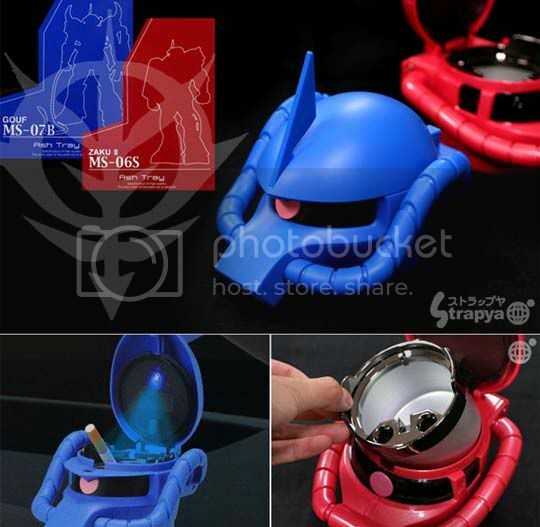 If you're the type of person that loves to use decapitated heads for your furniture you'd probably love this ash tray made from the severed head of a Zaku-II MS-06S. 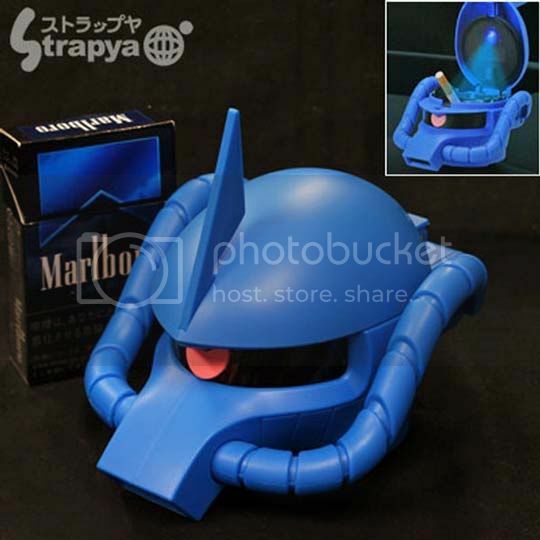 Nothing like a Gundam head to say that you're a tough geek smoker right? It even has an LED light to let you know where you're stabbing that cigarette. Now if I just smoked I'd probably get one of these but since I don't want to die via nicotine overdose I'll just have to pass. It still looks good if you just want to store stuff in it, but it'll take you around USD 35.00 to get one plus shipping and taxes and all the stuff that'll take the price to the roof.